News titbits: In this section, we bring you some interesting news pieces related to the education world from around the country. From students studying under umbrella due to leakage of roof in their school to a school having just one student and one teacher, India is full of stories that leave you astonished. Hundred years down the line, how will the world look at today’s technology? Will they still be using laptops, smartphones, VR glasses or Amazon Alexa? Will Brahmos missile still be a dreaded weapon? Well, we may not be alive to see the technologies which would be available by then. But in order to give a glimpse to the future generation about today’s technology, a time capsule was buried recently at Lovely Professional University, Jalandhar, Punjab. 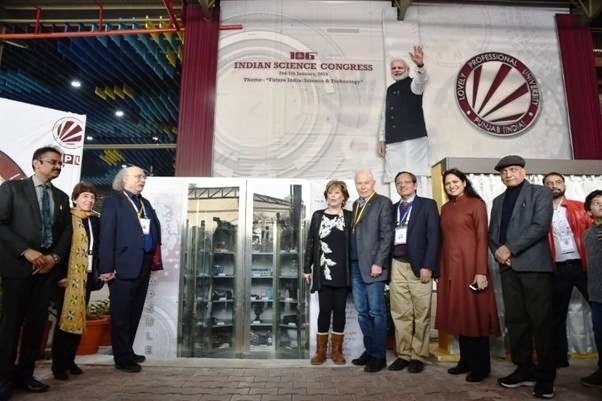 The capsule contains 100 items, that is, replicas of Mangalyaan, Brahmos Missile and Tejas fighter jet representing India’s scientific prowess, along with laptop, landline phone, smartphone, drone, VR glasses, stopwatch, Amazon Alexa etc. It also includes consumer durables like air filter, induction cooktop, air fryer, etc which are part of our day-to-day life. Some other products preserved are solar panels, hard disk with latest documentaries and movies and current science books being used for teaching to class 12 students and a mirror-less camera. The capsule was buried at a depth of 10 feet and will remain buried for the next 100 years. A plaque has been erected wherein it has been written that the capsule would be opened on January 3, 2119. In the first of its kind, a couple’s grave was discovered at the Harappan settlement at Rakhigarhi in Haryana recently. The skeleton remains of the couple were found lying face up with arms and legs extended and the man’s face turned towards the woman. Archaeologists estimate couple’s age to be between 21 and 35 years. The excavation and analysis were undertaken by the Deccan College Deemed University, Pune along with Seoul National University College of Medicine, Korea. 2. Internship in politics or wanna create music from plastic?